Welcome to Advanced Dentistry of Charlotte - Dr. Christopher A. Bowman! Have you ever wanted a stunning, straight smile? No matter your age, the straightness of your smile can impact your confidence, self esteem, and oral health. At our Charlotte dentist office, Dr. Bowman is proud to offer adult orthodontics to his patients in the Myers Park and Dilworth areas. Our caring dental team is excited to help you achieve your smile dreams with our modern orthodontic services. If you’ve ever wanted a straight beautiful smile, but feared that you were too old for braces, or that braces weren’t right for you, at our practice we can offer you a solution. 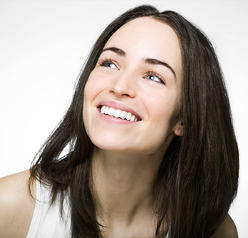 We offer both Invisalign Clear Braces and Six Month Smiles. Invisalign clear braces are an innovative way to straighten your teeth without traditional wires or metal. With Invisalign, we can straighten your teeth discreetly using a series of comfortable plastic aligners. Invisalign patients can enjoy all the benefits of straight, beautiful teeth without worrying about drawing unwanted attention, or the inconveniences that are commonly associated with metal braces. You can have straight teeth without metal braces. Invisalign treatment usually takes less time than traditional braces. Our Invisalign braces are completely clear and removable. Six Month Smiles braces for adults use the latest dental technology and innovation to straighten your teeth in less time than ever. Now you can have a beautiful, straight smile in only six months. Traditional braces straighten the surface area and the root of your tooth separately. Six Month Smiles uses an advanced design to straighten both the surface area and the tooth root at the same time. Six Month Smiles braces can straighten crooked teeth in six months. Six Month Smiles braces are white braces and are less noticeable than traditional braces. Six Month Smiles braces are affordable and require less appointments. Call us at our Charlotte dentist office today to schedule an appointment and to find out more about our braces for adults options. For more information about all of our cosmetic dentistry services and more, please check out our main dental website!